Business leaders need reliable tools to provide information about how to be successful by doing the right things, the right way. It is impossible to know the right way without having the right information and a customized roadmap to get you there. 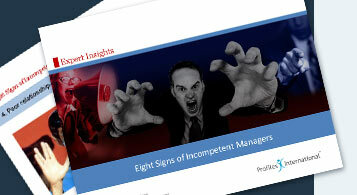 Learn more about reliable tools to help managers become successful. Developing interpersonal skills and fine-tuning management methods have a tremendous impact on an organization’s productivity. The data are compiled into thorough and concise reports for managers to see how their job performance is evaluated by the full circle of people who observe it. CHECKPOINT 360°™ reports include recommendations for professional development to enhance each manager’s job performance.